Touring Chicago's beautiful churches brought my husband and I to Old St. Mary, Chicago's oldest (founded in 1833 by the Paulist Fathers) and the first Catholic parish in the area. Old St. Mary is on it's sixth building. Our first stop this summer in my continuing series, Touring Chicago's Beautiful Churches, is Notre Dame de Chicago. Notre Dame is the "round" church in the "Little Italy" neighborhood. 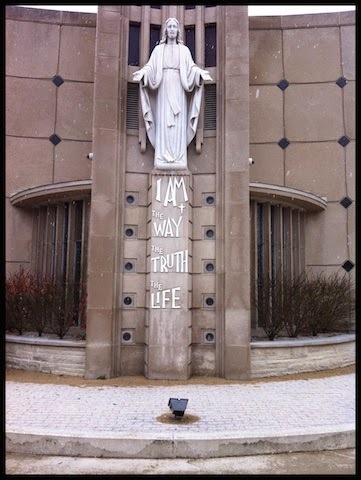 Last summer my husband and I visited different churches in my series "Touring Chicago's beautiful Churches." When we returned to St. Therese in the fall, we didn't expect to get a chance to visit another parish for a while. We were pleasantly surprised when we were invited to St. Helen in November. 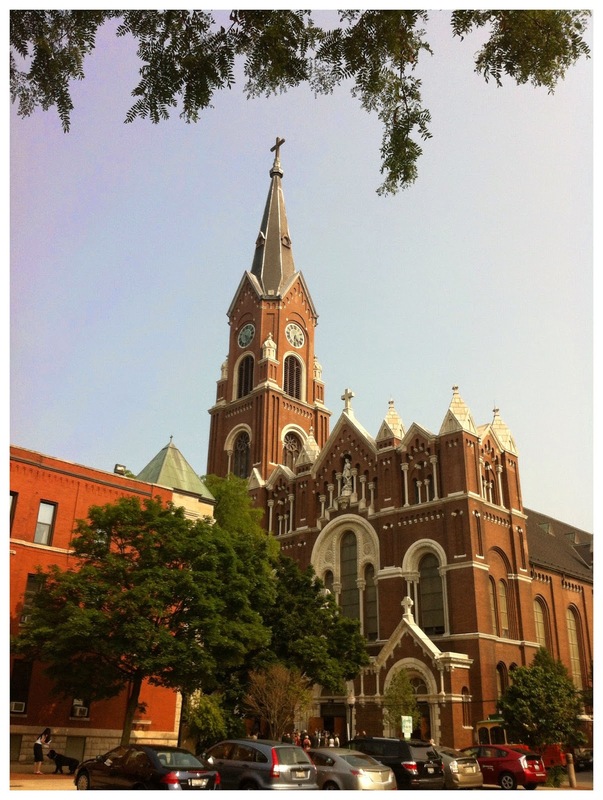 Touring Chicago's beautiful churches was my summer blog project. My husband and I were able to visit nine parishes. It was an amazing experience that we both enjoyed. You can see all the links to all the parishes we visited at Being Catholic ... Really. 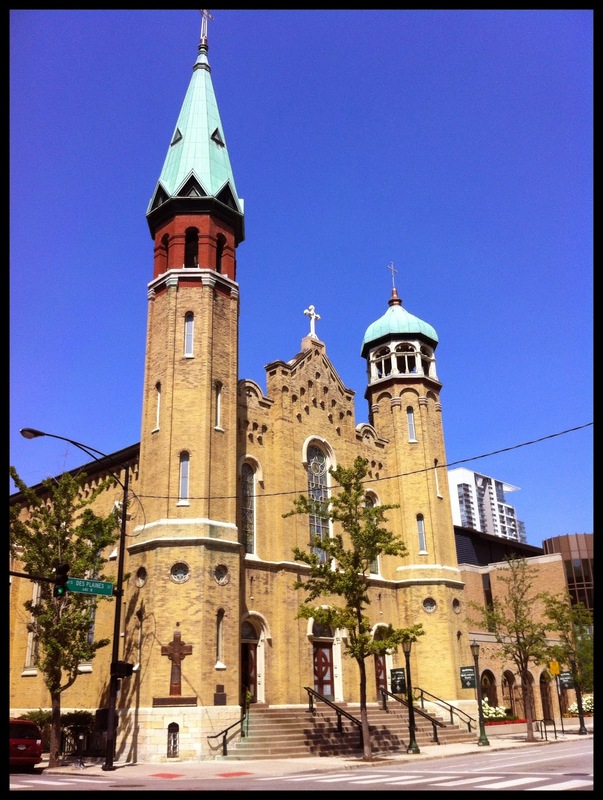 Old St. Pat's is the ninth church in my series "Touring Chicago's beautiful churches." My husband and I haven't been to this church in nearly 30 years. We remembered it as dark and green. What we found was a transformation to a beautiful pastel luminescence. My husband and I attended the 12:10 PM Mass on August 15 for the Feast of the Assumption. The church was filled and the congregation sang enthusiastically. Please continue to read the rest at Being Catholic ... Really. 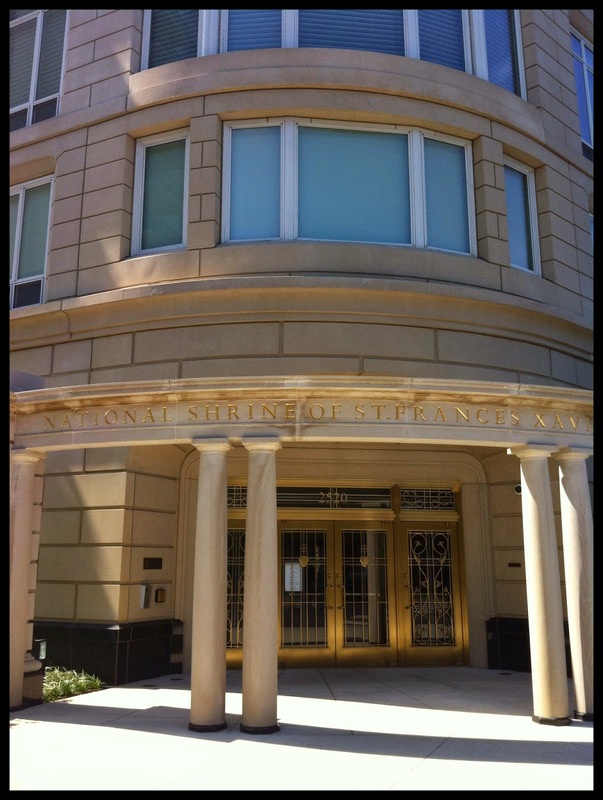 The eighth church in my series, Touring Chicago's beautiful churches, is The National Shrine of Saint Francis Xavier Cabrini. Out of all the churches we've been to so far, this shrine was the one that impacted my husband and I the most emotionally as well as spiritually. 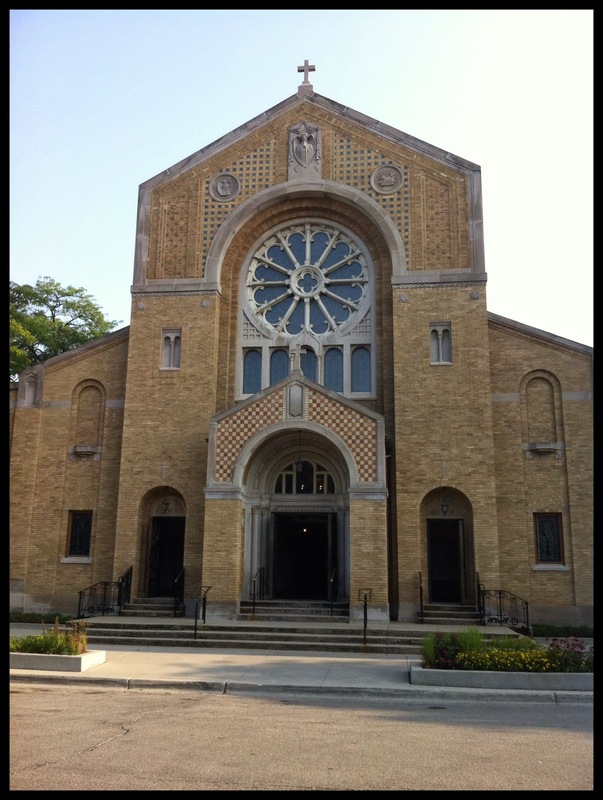 Touring Chicago's beautiful churches: The Shrine of Our Lady of Pompeii is the seventh church in my series. My husband and I attended the Sunday morning 8:30 Mass. Let's begin with what a shrine is ... To read the rest please go to Being Catholic ... Really. 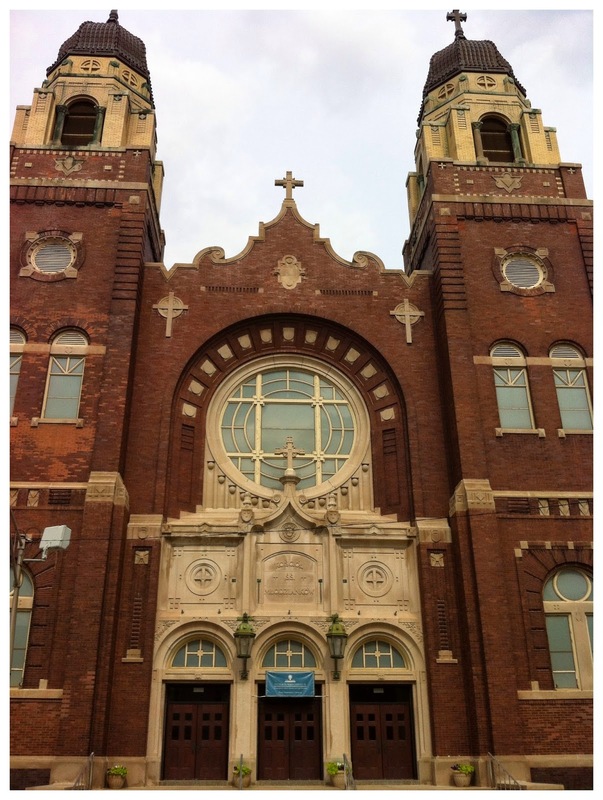 Our next stop in touring Chicago's beautiful churches is St. Mary of the Angels. My husband and I had never been here before. We have passed it many times and saw it from the Kennedy expressway, so we were excited to attend their Saturday, 5 PM Mass. St. Mary of the Angels is another church that was near the wrecking ball. The famous dome was literally crumbling and leaking. After years of struggling to raise the money for the needed repairs, there was a happy ending to that story. 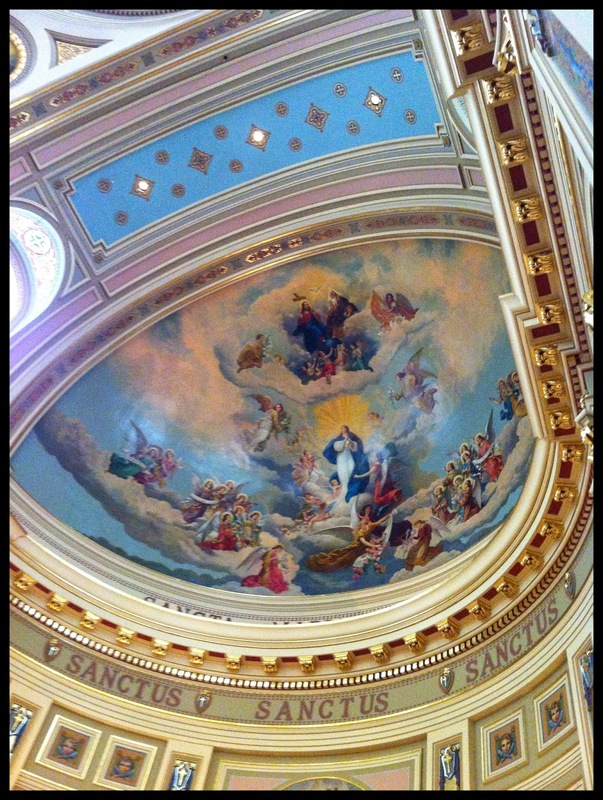 St. John Cantius is the fourth church my husband and I have visited in my series, Touring Chicago's beautiful churches. This exquisite church was very near the wrecking ball not that long ago and now it is a thriving parish. 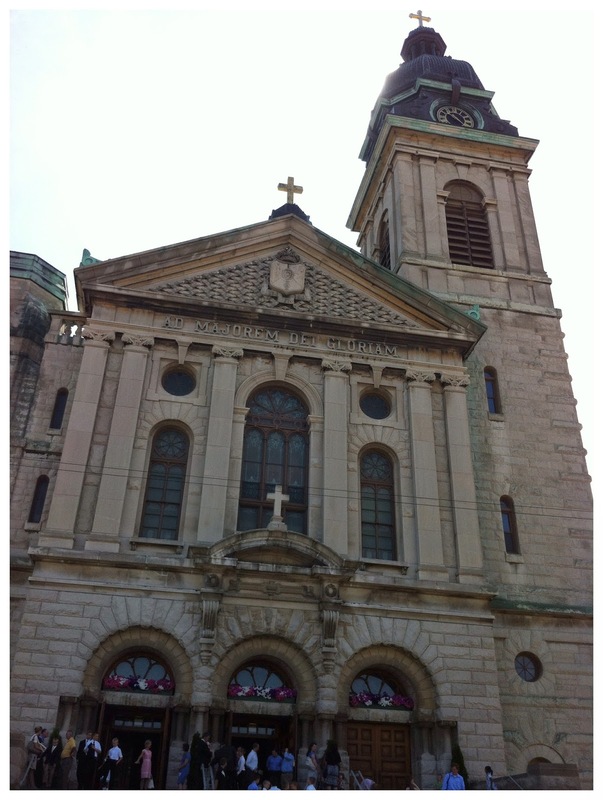 My husband and I had not been to St. John Cantius in many years. The thing I remembered most back then, was the flooring was in very bad shape. As you can see from the pictures, not only has the floor been repaired, but the rest of the church has been restored. You can read the rest at Being Catholic ... Really.